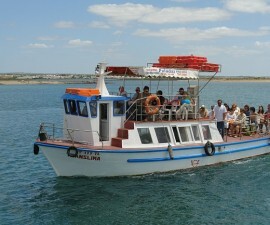 Many visitors to the Algarve will not look beyond the holiday-brochure pictures of golf, gastronomy and good times on the beach but Faro, in Portugal, has much more to offer besides. Here we take a look at a one-day itinerary that will help you discover the other side of Faro – Architecture, Archaeology and the Amazing Estoi Palace. 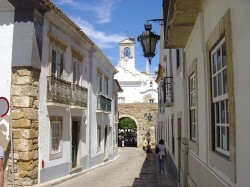 Despite its modern exterior, Faro has a long history at its heart. There has been a settlement on the site of Modern day Faro since prehistoric times but it was during the times of Roman occupation that the town of Ossonoba made a name for itself as a major fishing port and centre of the region’s salt industry. As the empire faded Islamic rule took its hold in Iberia before the Christian reconquest during the thirteenth century and Faro was the last place on the Peninsula to be liberated. This rich history is documented in the Old Town, dotted with interesting period architecture and in the archaeological remains that are found in and around the city. 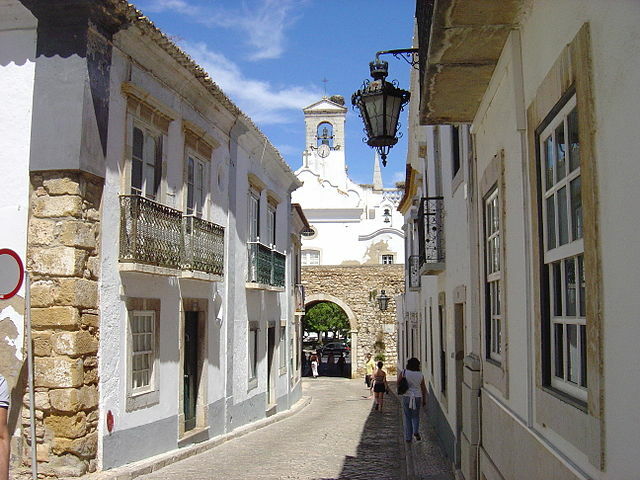 We begin our tour at the entrance to the Old Town, at the Arco da Porta Nova, the main gateway to the Vila-Adentro, or “town within”. 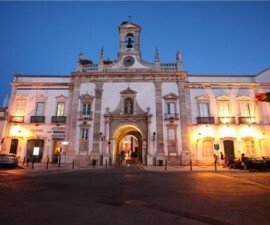 The Arco da Porta Nova gives way to a swirl of cobbled streets lined with delightful nineteenth-century architecture and leading to the central Largo da Sé, the main town hall square. Here the eighteenth-century Bishop’s Palace dominates proceedings alongside Faro Cathedral. Built in the site of a former Roman forum turned mosque and rebuilt several tiems due to a combination of strategic attacks and natural disasters, the Cathedral boasts an interesting mix of architectural styles that seem to sum up Faro’s history in one sweeping glance. We take a trip up the Cathedral tower to admire the view from on high, from where we can beyond the rooftops and spires of the Old Town and out over the Ria Formosa Natural Park beyond. Our itinerary allows for some time exploring the streets in and around the cathedral, taking in one or two buildings of note, before exiting the Old Town through the Arco de Repouso. From the Arco de Repouso we head away from the Old Town walls, noting the Moorish settlements which were permitted within its exterior walls following the Christian reconquest, to the beautifully gilded, baroque Igreja do Carmo or Carmelite Church with its famous capela dos ossos, or Chapel of Bones. The Chapel of Bones was built in 1816 and paid homage to the former Carmelite monks who were buried in the former cemetery and displaced during the church’s building process. The final port of call before a city-centre lunch is at the Museu Municipal de Faro, or Municipal Museum of Archaeology. The building is based in a former sixteenth-century convent, which is interesting enough in itself for its well-preserved architectural features including a beautiful cloister. 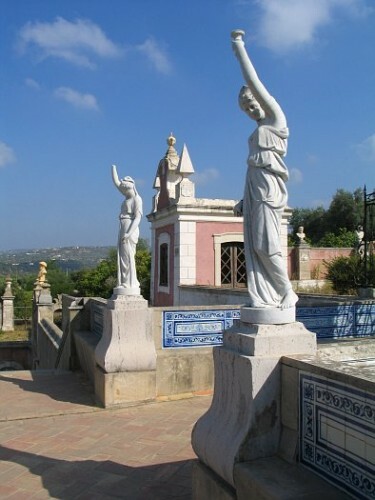 Here, visitors can also view a number of Roman statues and artefacts, many of which were found at nearby Estoi when the area was excavated some years ago, as well as a number of interesting Moorish lamps and paintings dating back to the Baroque and Renaissance periods. A leisurely lunch follows at the renowned city-centre restaurant, Adega Nova. The Adega Nova is one of Faro’s best-loved institutions, popular for its convivial atmosphere, unique architecture and delicious Portuguese cuisine. Built in a converted tile and brick warehouse it boasts some interesting architectural features and a long history in the city, dating back many years. We continue our trip with an afternoon visit out of town to the Roman remains at Milreu in Estoi, some eleven kilometres from central Faro. It was here that many of the artefacts on display in the archaeological museum were originally excavated, providing an interesting window into the area’s rich Roman past. 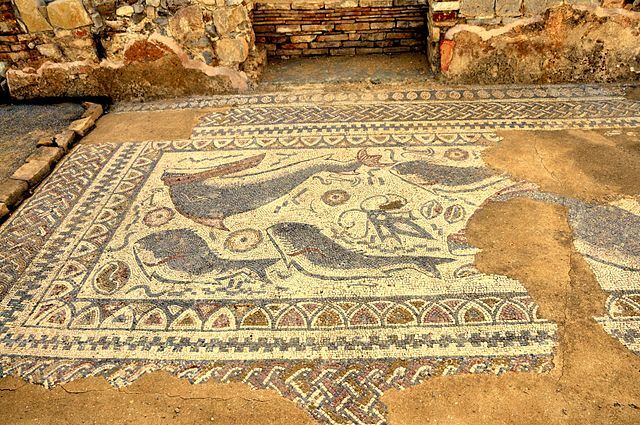 Milreu is home to an expansive site dating back to AD100-200 with many interesting architectural features remaining intact including columns and beautiful original mosaics depicting maritime scenes. 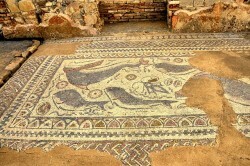 There are also Roman baths, a beautifully preserved Roman villa, a mausoleum, a wine press and the remains of a Roman temple which, having been converted into a Christian basilica in the fourth Century is now one of the world’s oldest churches. A well-preserved sixteenth-century house sits on the Milreu site, providing further insights into the area’s development through the ages from Roman times to the present day. We complete our day with a trip to the eighteenth-century Estoi Palace, a sumptuous example of period architecture featuring a delightful pink Rococo façade and set in secluded shaded gardens, which provide the perfect backdrop for a relaxing early evening drink on the terrace to mull over the architectural and archaeological delights of the “alternative” Faro.